20 years of experience in 20 minutes. Practical, focused insights, for you and your team. Facilitation Analytics: 20 years of experience in 20 minutes. Practical, focused insights, for you and your team. Understanding the Facilitation Cycle – For busy people about to engage a tough crowd on challenging issues. A quick, 20 page read. There are eight phases in the Facilitation Cycle. The first phase, Greeting, starts even before your meeting begins and before your participants come into the room. The last, Send Forth, magnifies the impact of your successful event for days and weeks after it has concluded. Current discounted price $3.99 (normally $7.99). Dealing With Disruptors – What if you could make that disruptive energy productive? What if you could work with disruptors to increase understanding, broaden support, and build trust in your community? 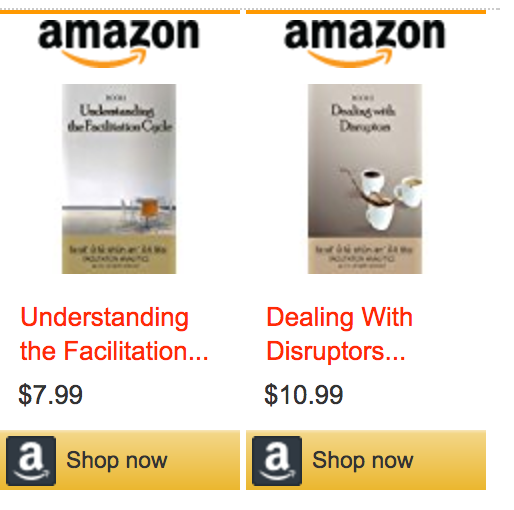 Dealing with Disruptors provides tools and a framework to make that happen. Current discounted price $4.99 (normally $10.99). Navigating With 3D Evaluation: Public Dialogue for Results– Public engagement and dialogue can achieve valuable, lasting outcomes, but only when supported by ongoing, systematic analysis. This book shows you how to work with participants to set goals, engage everyone through a shared vision, maintain trust through common priorities and interim targets, navigate around obstacles like budget cutbacks and changes in political leadership, determine who is responsible for honoring the commitments made around the dialogue process, and demonstrate the value of your work. Current discounted price $4.99 (normally $9.99). Previous PostIntroduction to the Facilitation Analytics™ seriesNext PostNovice? Experienced pro? How the series works for you. We provide face to face and on-line training and coaching for you and your team in the use of Facilitation Analytics tools. These can be used to build and improve your skills in facilitation and conflict resolution, strategic planning and thinking, and communication and problem solving. Unauthorized use or duplication of this material without express and written permission from this blog’s author or owner is strictly prohibited. Excerpts and links may be used, provided that full and clear credit is given to The Communications Center, Inc. and The Facilitation Analytics Project with appropriate and specific direction to the original content.